Nope, that’s not really a shark in the hotel pool, but it sure looks like one! This is awesome. 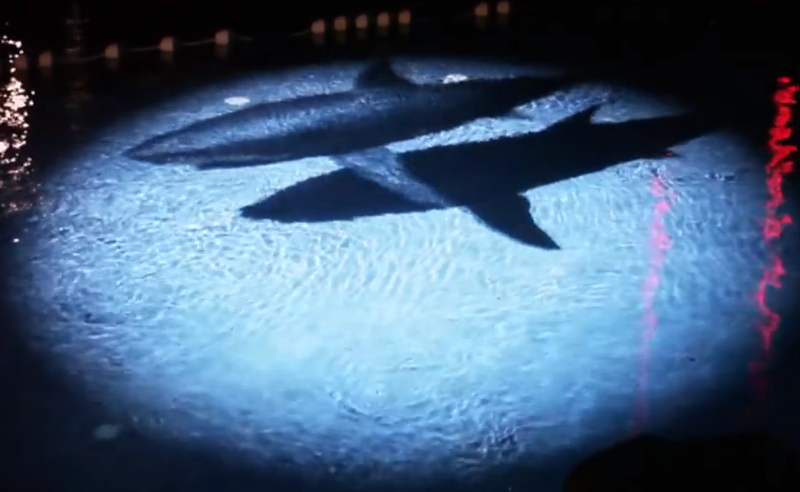 Check out this You Tube clip of video projection on the surface of the pool at the Waikiki, Sheraton last year. Our minds are racing with possibilities if this becomes commonplace—a completely new spin on Marco Polo; dive-in movies and hotel pool entertainment. Cue “Jaws” theme. One Response to "WAIKIKI SHERATON, VIDEO PROJECTION ON POOL SURFACE, Link"
That is spectacular . I want it ! That is just fantastic and now I have another reason to go to Hawaii.